​BENGALURU: Ace Indian cueist Pankaj Advani won his 16th World Billiards (150-Up format) Championships title by beating Peter Gilchrist of Singapore in the summit clash on Monday. Jai Jhulelal! It is a matter of proud for the Sindhi Community to see this Sindhi sportsman rise and shine. 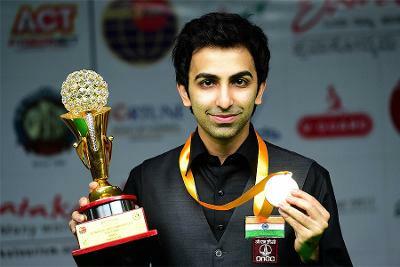 Blessings to Pankaj Advani to gain further glories on his path.